When life gives you Summer, you better have G&Ts at the ready! Introduced by the army of the British East India Company in India, Gin & Tonic is the perfect drink for when the weather’s hot and the sun is shining. Zesty, refreshing and -most importantly- super easy to make, which is just as well, because in that heat, the least there is between you and a cold drink, the better. G&Ts are the ultimate no-sweat cocktail -1 part gin to 3 parts tonic (better measure to taste), with a squeeze of lime for good measure (and extra freshness). It’s the perfect drink to make for one or a crowd – just make it in a pitcher, pour over ice and go wild with the garnishes. That’s where the magic of the humble G&T truly is – it’s so simple, yet there are so many possibilities. That said, I can’t ima-gin any better version than the pink gin and tonic below! Want to brush up on your botanicals? Besides its limited-edition Taste of Summer cocktail menu (including the above Pink Gin and Tonic recipe under the lovely name of ‘Lavender Vida Loca’) , Drake & Morgan is offering a series of complimentary mixology masterclasses at selected bars & restaurants across London. The ultimate chance to learn the tricks of the trade whilst sipping on classic and contemporary creations! To book your place, please email stuart.cambell@drake-morgan.co.uk & let the good time be-gin! The early bird gets the worm prettiest blooms. At least, that’s how the saying goes at the New Covent Garden Flower Market. 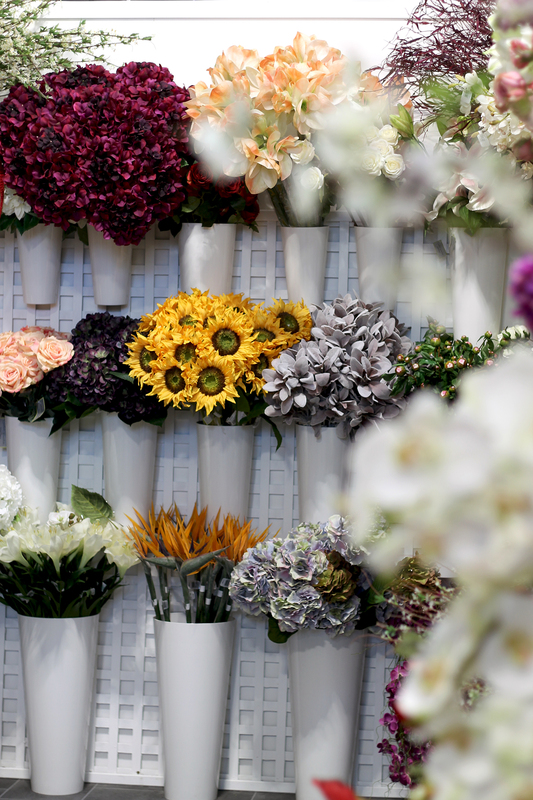 With 21 wholesalers and 10 florists under one roof, supplying 75% of London florists, the trade-centric market is a flower lover’s dream come true. 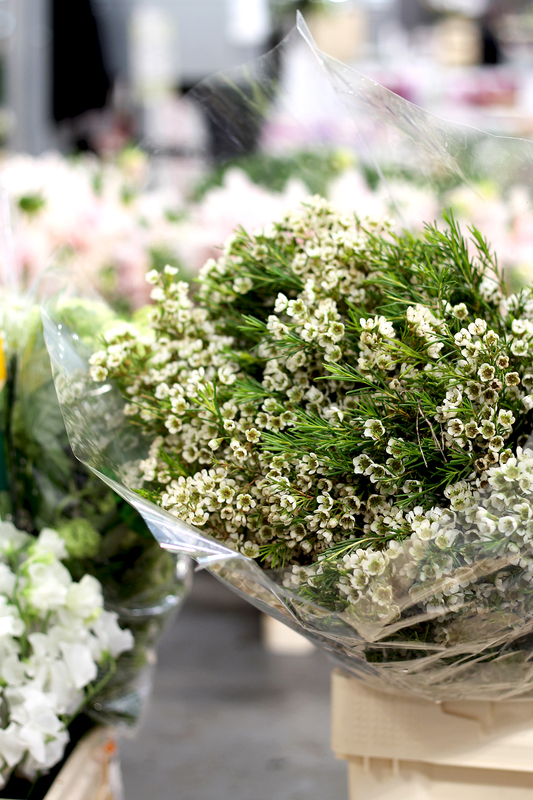 Home to the finest flower suppliers, the market offers the widest selection of the freshest flowers, plants, foliage and sundries. Fields of rainbow-coloured blooms everywhere you look. Boxes upon boxes of heaven-scented, British-grown wonders. Provence-worthy fields of French lavender. Walls of greenery of all sorts, ready for eager green-thumbed gardeners to plant. Many a lily of the valley bit. The prettiest, barely-blooming peonies I ever did see. Some more quirky choices, like these vibrant artichoke flowers! 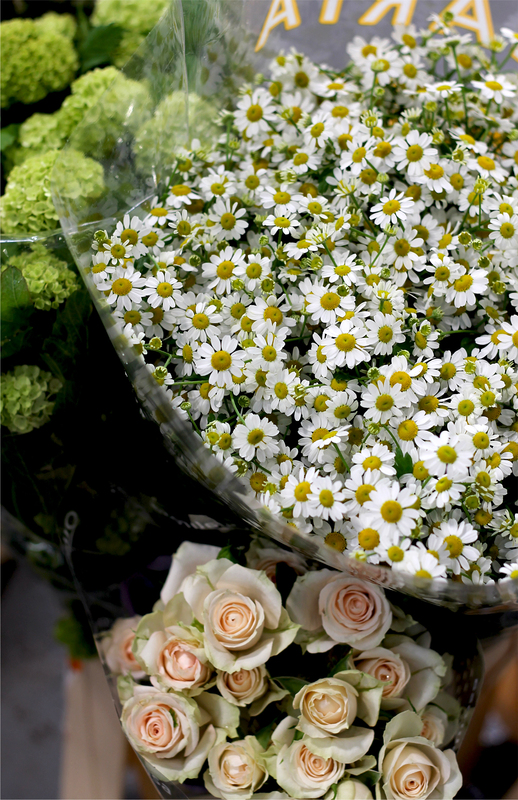 Recently relocated to a new spot down Nine Elms from its previous home, New Covent Garden Flower Market is the ultimate spot to get the prettiest flowers at the very best value. A must visit for florists, hotel managers, eager gardeners and brides-to-be alike. Or you know, anyone wanting to treat themselves/their loved ones to a home filled with pretty blooms. No matter why you go, one thing’s for sure – you won’t be going home empty handed! For our second (and last ? – for this time at least) day in Barcelona, we were determined to keep to exploration going. But even the most seasoned of explorers knows that you won’t get anywhere on an empty stomach, so we first set off in search of breakfast. Which we found at the ultimate Barcelona food Mecca, La Boqueria (La Rambla, 91). Freshly pressed juice, fruit, fish, meat, the most beautiful fresh produce the city has to offer is to be found there. But you’d miss out on those incredible views of the harbour and the southwest part of the city centre! Not to mention the heavenly smell of jasmine, rose and wild flowers filling the air! Keep climbing and very soon, the entire city is at your feet in all its 50 shades of pink glory! Though the views on the way down are no less magical! Our grumbly stomachs led our feet to Morro Fi (Consell de Cent 171) for one last tapas-and-vermouth feast before heading back to London. The perfect, laid back ending to a perfect, laid back weekend!